It's all about clicking the pieces together following the experiment manual - and it's so easy to follow! Everything in the experiment manual and the pieces to the set are marked out so clearly; the experiment manual and the pieces are made in a way which made it so easy to put each experiment together independently for my 6 (although it's supposed to be for 8+), 9 and 11 year old. Because it was all so clear it also helped them to see if they didn't get it right first time and then rectify it. Learning from mistakes is very important and being able to figure it out independently even more so! My 11 year loved it. My 9 year old loved it. My 6 year old loved it so much she didn't want to share it. We were playing for hours with it until we had to stop to go out to an appointment. From my point of view, as the parent, teacher and as a science enthusiast, I liked the fact that they have a section called the science database. The science database explains what is happening in each experiment and what makes it work and why, when you set it up a different way it doesn't work at all - I think it's always just as important to know why things didn't work as much as why they did when it comes to science. 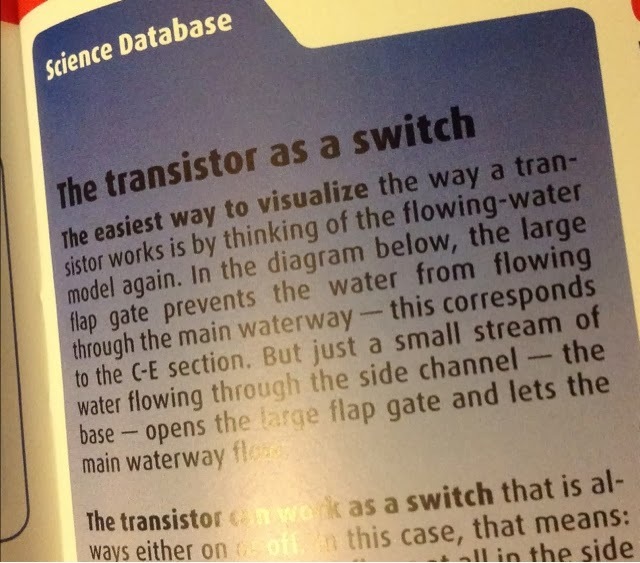 It also defines certain scientific terms like ions, transistor switches and Light emitting diodes - it explains clearly what they are and their purposes. Even Harmonie, age 3, enjoyed watching and joining in with switching the lights on and off. Tomorrow is Naomi's birthday but I do not doubt that Friday they will be trying out some more of the experiments. Honi could hardly believe her eyes when I told her it was her 'school work' for the day. Much more a toy in her eyes and that's what learning should be: fun! 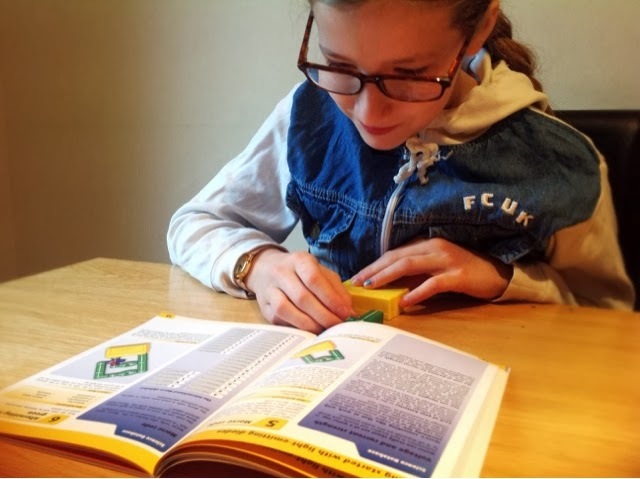 There is far more for us to learn and, as I sit here, flicking through the experiment manual I can see they will certainly have a good understand of electronics when we have finished the 72 experiments! 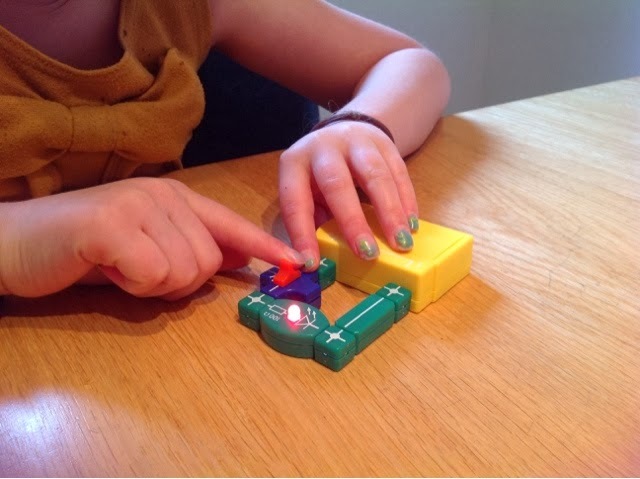 I would say this is a great resource for anyone 8 and older to get an understanding of how electricity works and how to build circuits. I like to be honest in all I write and that includes my reviews. All that I have written today is the truth, I am finding it so difficult not to rave about it to be completely honest. 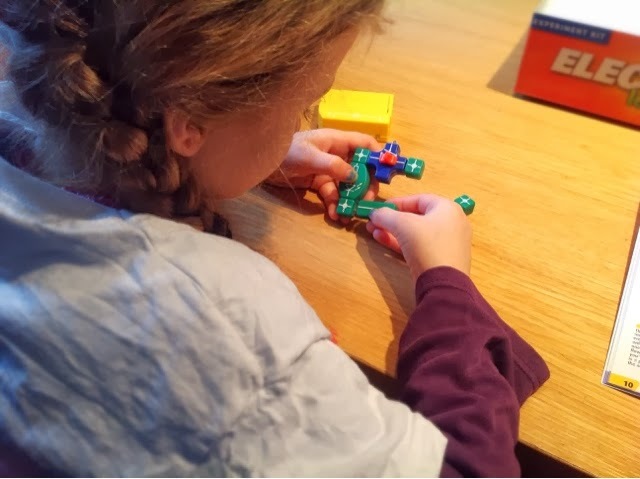 There is only one thing that I did notice and that was connecting the new pieces for the first time was a little difficult, Honi got annoyed but she is six and this is intended for 8 and over. It's not a huge down point though as after one use the problem was non-existent and everyone was happily using it over and over again. It is certainly the most comprehensive electronic science kit I've ever used and much easier than another that we own by a different brand. I think it was the Legolike quality of this Thames & Kosmos set that proved to be such a massive hit with my girls! 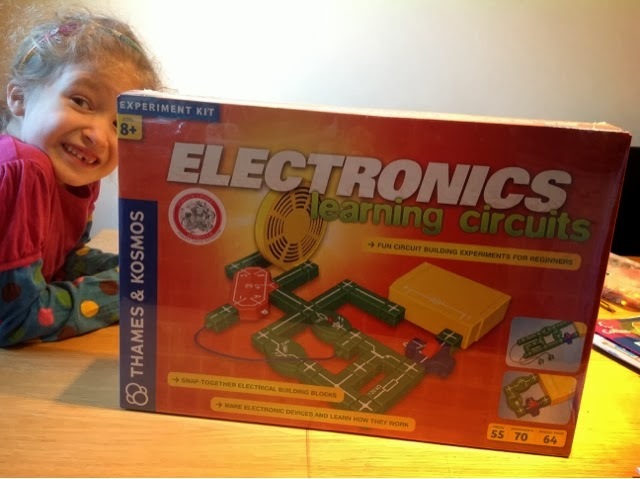 Great kit, and from looking at some of add on kits you could build a very comprehensive knowledge of electronics, we have one we got a few years ago, the kids love it, but having seen this we may invest, great review.